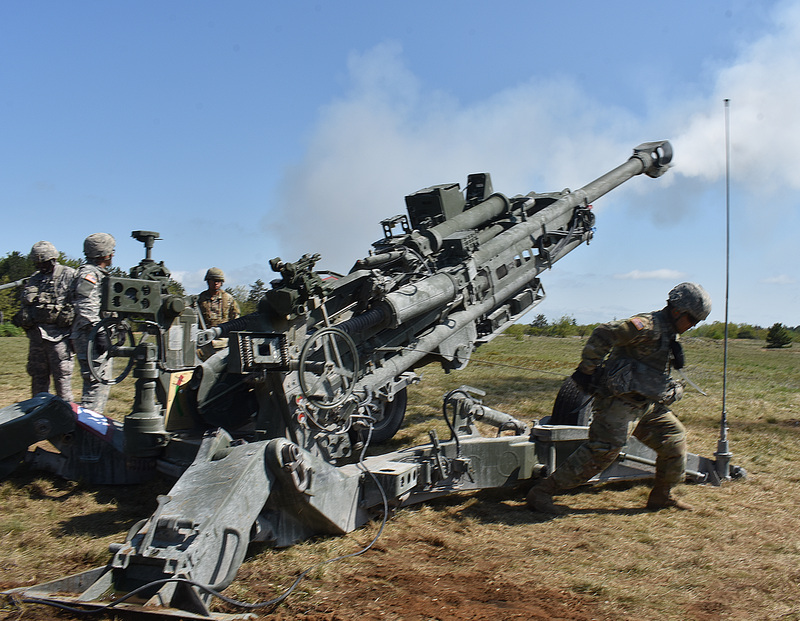 FORT DRUM-- New York National Guard Soldiers from Charlie Battery 1st Battalion 258th Field Artillery fire a M777 Howitzer on Fort Drum Watertown N.Y. May 22nd 2018. The 258 was conducting Annual Training which this year included training for the new M777. This was the first shot taken by the full crew.